Before you can learn to drive, you will need to apply for a provisional driving licence. You can apply for your provisional licence when you are 17. You can also learn to drive some motorcycles when you are 16. If you are receiving Disability Living Allowance at the higher rate, you can apply for a provisional licence when you are 16. When applying for a licence you must tell the DVLA about any medical conditions or special needs that could affect your driving. Any car you drive must display visible L-Plates on the front and rear of the car. The Government's Driving Standards Agency (DSA) recommends learning to drive with a registered Approved Driving Instructor (ADI), because ADI’s have to be registered and monitored to ensure a continuous instructional ability. 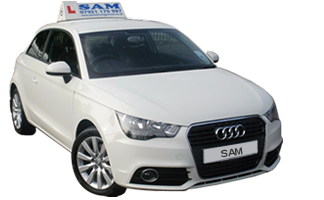 Before taking a practical driving test, you'll need to pass a theory test which is a 2-part test conducted on a computer in an exam environment.